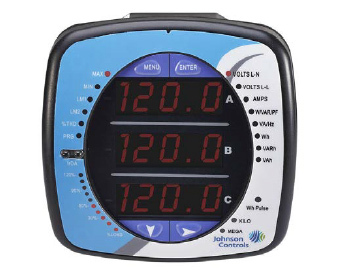 On October 24, Johnson Controls released the EM Series Electric Sub-Meters for use in electrical energy metering applications in commercial and industrial buildings. The EM Series features capabilities to meet the needs of a variety of applications, including sub-metering HVAC equipment and tenant billing applications, among others. The communication protocols included in this product family enable communication and network integration with existing energy management and building automation systems. This latest sub-metering system reduces the complexity of asset management by making it easier to identify and prioritize the controls and equipment intended for retrofit or replacement. The EM Series also reduces operational expenses and enhances energy performance and reducing the risk of maintenance and repair costs before they become problems. For more information on the EM Series Electric Sub-Meters, click here.